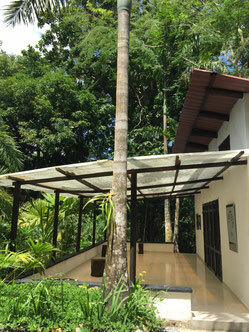 In Caoba we have two spaces perfect for Meditation, Seminars, Events and Yoga. Please let us know which Space you are interested in. 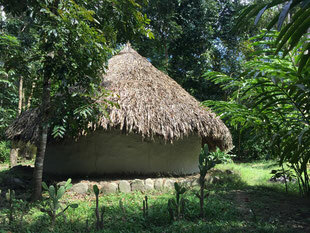 This is a round house build by Koguis and used in their culture for ceremonies and important gatherings. The house is very rustic with an incredible original, raw and magical space. In the middle it has fire. Very welcoming for workshops and meditation, also musical group sessions. Can accommodate around 15 people.